Inventory management is essential for every business organization. Inventory means material that is used as input for production of finished output or rendering of services or for office use and packaging. It will also ensure preparation of accurate statements of the value of inventory consumed by each department/job and final statements prepared according to their needs. >> Practice Inventory Management Problems and Solutions. Re-ordering level: It is the point at which it becomes essential to initiate purchase orders for its fresh supplies. Normally, re-ordering level is a point between the maximum and the minimum stock levels. Minimum consumption: This is the minimum quantity of the material that is expected to be consumed in a day or in a week or in a month time. Lead time: This is the estimated time period in number of days or in weeks or in months, which is necessarily required for placing an order and finally receiving it in the stores. Economic ordering quantity: It is the level where the ordering quantity will be most economical for organization. What do you understand by maximum stock level, minimum stock level, and re-order level? 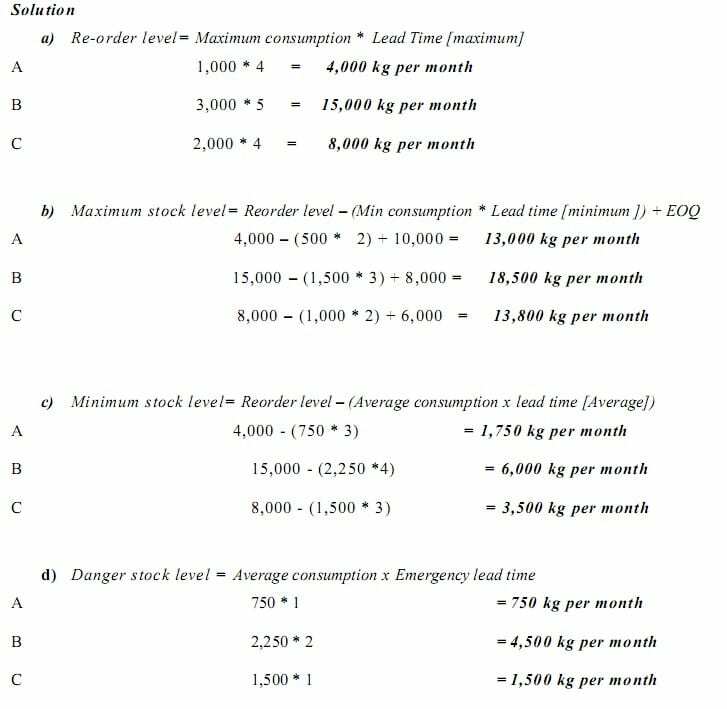 >> Practice Inventory Valuation MCQs. 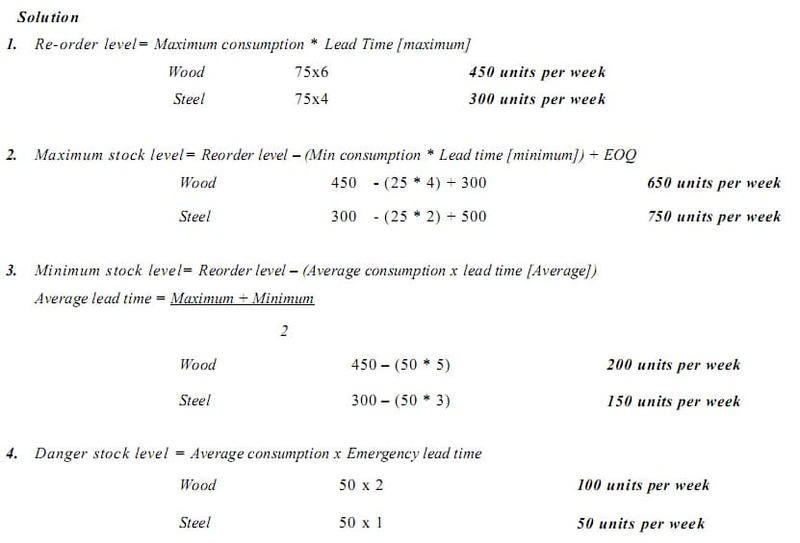 >> Further Reading Economic Order Quantity. In manufacturing its Products, a Company uses three raw materials. A, B and C, in respect of which the following apply on monthly basis. >> Further Practice Economic Order Quantity Problems and Solutions.